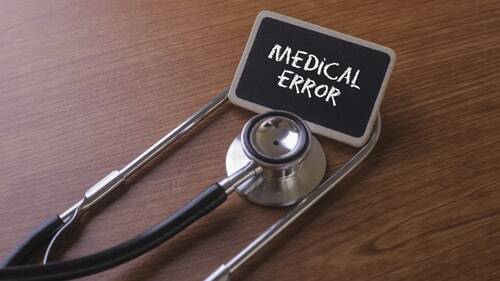 Medical malpractice is negligent, improper or unskilled care performed by a medical professional, such as a doctor, nurse, dentist or other health care worker, that results in the harm of the patient. When Do People Bring Medical Malpractice Cases? Medical malpractice lawsuits generally are filed when a health care professional – like a doctor, therapist, nurse, surgeon, or anyone else- deviates from what is considered the normal standard of care for others in the same field and this deviation results in the injury or even wrongful death of a patient. It has much in common with a negligence cause of action. In fact, a lot of the substantive points and procedural hurdles mirror each other. Consequently, lawyers that specialize in one field probably are also experienced in the other field. However, there are some important differences. For instance, the specific meaning of medical malpractice and each of its elements may differ across different jurisdictions in the United States. Also, unlike negligence, medical malpractice commonly requires expert showings of evidence and testimony. For instance, in Illinois, before you are even allowed to file a medical malpractice case, you must submit an affidavit from a doctor that your case has merit. There are other distinctions that you should be aware of but this should highlight to you the hybrid and specialize nature of Illinois medical lawsuits. Who Do You Sue In A Medical Malpractice Case? Doctors: Doctors are one of the most frequent defendants in medical malpractice cases because they give you care directly and if they make mistakes you get hurt. Hospitals: Hospitals often employ people that injure you or control the circumstances that lead to the medical malpractice so you can sue them as well. Nurses: While they might seem like assistants, these are actually professional parties that also provide you care and can be held legally responsible for medical malpractice. Other Professionals: There are a whole host of other medical professionals that can be sued for malpractice as well such as radiologists or anesthetists. The key is who provided you care and if that care was appropriate. Want To Know More About Medical Malpractice Cases In Illinois? Rosenfeld Injury Lawyers LLC have brought many medical malpractice cases on behalf of Illinois plaintiffs. We can help you understand what laws afford you the most amount of relief if you are injured by a doctor, hospital, or other party. Also, if you choose to file a case, we can represent on contingency so that you don't have to worry about bills if we're not successful. We can bring all the attention and experience that you lawsuit needs. Just call us today to find out how!